Prym1 Camo is an exciting new approach to camo! 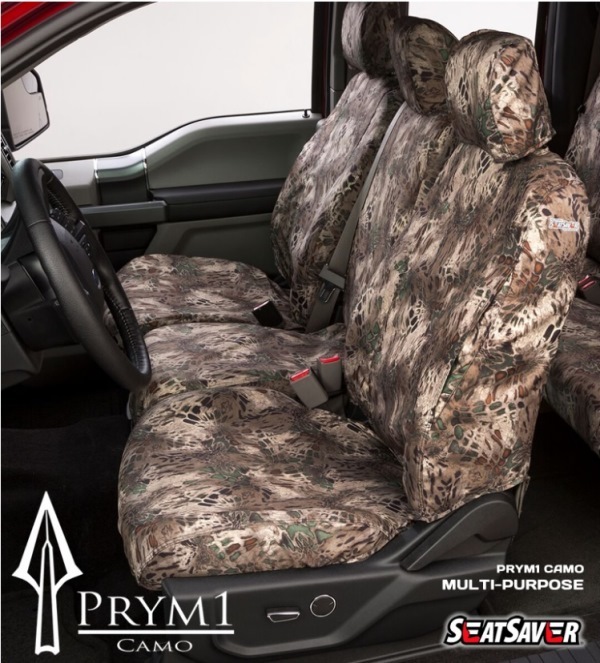 Developed by wildlife artist Stacie Walker, Prym1 Camo uses the look of natural patterns and organic shapes of predators in the wild. Predators have evolved and survived by blending with the environment and becoming part of their natural surroundings. 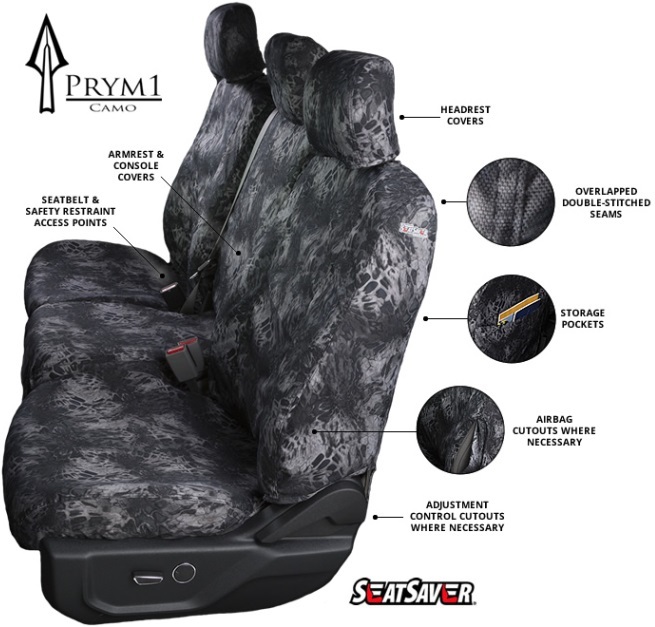 Prym1 is camo designed by nature! 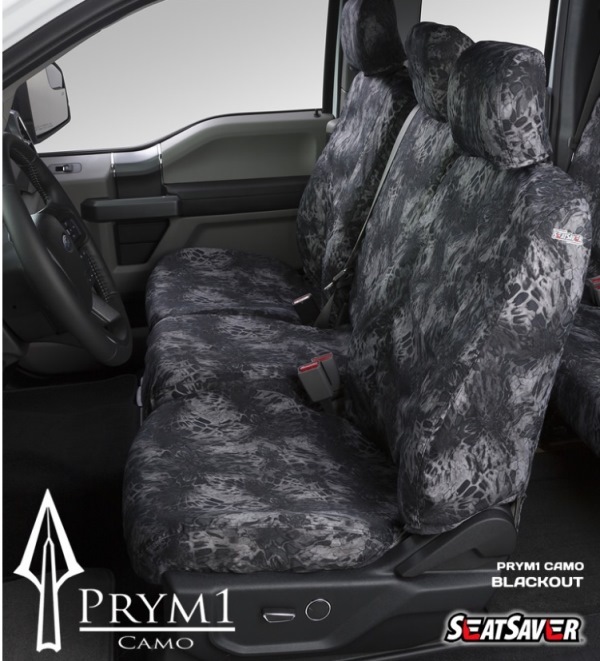 Printed on a robust 600 denier polyester, which is highly water-resistant and mildew-resistant, these Covercraft camo seat covers are comfortable to sit on and will provide excellent protection for vehicle seats. Protect seats from sun, dirt, work abuse. Strong overlapped, 2x stitched seams.